When you need to be sure that you are keeping tabs on your employees and the way that they manage their time off, do yourself a favor and download the Employee Vacation Tracker. This will allow you to properly manage the allocation of vacation days because you will be able to keep accurate records and allow your employees an easy way to take care of the days off. They will have a uniform process and will be able to ask for time off in an easy and convenient way. This can help streamline the work process within your company so that you all have everything that you need. Thankfully, you can download the Employee Vacation Tracker for free on this page. You will find it easy to download, fully customizable and useful for any kind of endeavor that you have. This is wonderful, because not all companies are alike, and you might have some tweaks you’d like to make. When you download the Employee Vacation Tracker, you will be able to find it useful and easy to arrange how you would like, so that you’re able to get the most out of it. 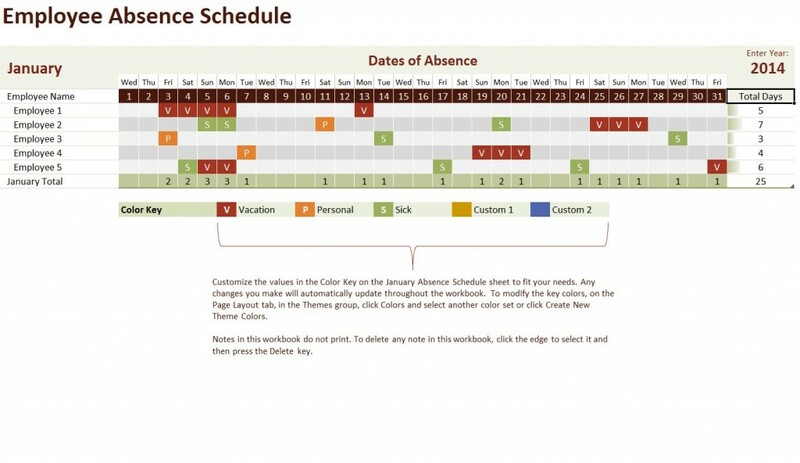 In order to use the Employee Vacation Tracker, make sure that you download it from the site, and distribute it to employees for use. Once they have it in their possession, they will be able to thoroughly fill out the form, in terms of dates, name, information about time off and other relevant information to your company. This file format is useful on any system and will allow you to make the most out of the way that you and your employees deal with time off. All you have to do is tweak it to your liking and make sure that you are using the Employee Vacation Tracker to your advantage. When this is what you are looking for, just touch base with our site and make sure that you begin to download this form. You will enjoy the benefits that it provides and can begin reaping them immediately once you have the form.